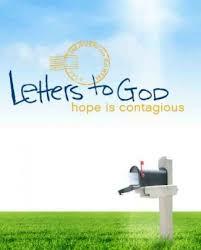 Have you heard anything about the upcoming film “Letters To God”? I’ve been following them on Facebook and Twitter for a while, and it looks like the opening to the film is getting close (April 9, 2010). I haven’t seen the film yet, but from the looks of their site, these are God-centered people who were involved with the making of Fireproof and Facing the Giants hoping to glorify God and spread the gospel with really powerful story. I’ve got the synopsis here and the trailer below. I’m sure you’ll be hearing much more about this film from me and others over the next months. Personally, I can’t wait to see it. Synopsis: A heartfelt tale of inspiration, hope and redemption, Letters to God is the story of what happens when one boy’s walk of faith crosses paths with one man’s search for meaning—the resulting transformational journey touches the lives of everyone around them. The letters find their way into the hands of Brady McDaniels (JEFFREY S.S. JOHNSON), a beleaguered postman standing at a crossroads in his life. At first, he is confused and conflicted over what to do with the letters. Overtime he begins to form a friendship with the Doherty family – getting to know not just Tyler but his tough, tender yet overwhelmed mom (ROBYN LIVELY), stalwart grandmother (MAREE CHATHAM) and teen brother Ben (MICHAEL CHRISTOPHER BOLTEN) — who are each trying to stand strong against the doubts that come with the chaotic turn their lives have taken.